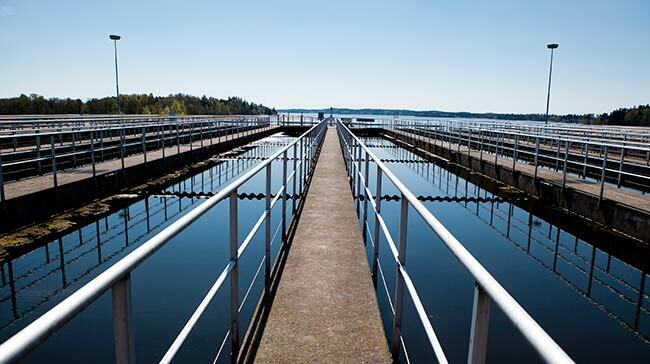 The approximately 250,000 people residing in the southern Stockholm region discharge an average of 1.3 cubic meters of waste water per second into the lines running to Syvab’s Himmerfjärdsverket plant. After about 20 hours, the now purified water is released into the Baltic Sea. A sewage treatment plant consists of thousands of technical devices that all have their maintenance schedules, and moreover wear and must occasionally be repaired. Syvab’s motto is “We safeguard our water” and until recently, work was largely carried out manually. Work orders were handed out to technicians on paper, who in turn filled them in and returned them for manual follow-up. This was how it was done until June of 2014 when Prevas installed and configured the web-based maintenance system Infor EAM (Enterprise Asset Management) at the Himmerfjärdsverket plant. Prevas is the Scandinavian partner of Infor, which is the world’s third-largest company in ERP systems. Just as everything else, sewage treatment plants sometimes break down. Cranes and pumps require preventive maintenance and technicians must be dispatched. But to understand and know whether maintenance is cost effective, statistics must be gathered and analyzed on a large scale. This was what Prevas helped Syvab with at the Himmerfjärdsverket plant. The maintenance system is used to initiate and maintain ongoing and preventive maintenance through connections to the plant’s Citect operating system. Scheduled maintenance tasks are set up in advance in Infor EAM, and when it’s time for maintenance, the system creates work orders. Emergency maintenance is set up by the person noting the problem filing a report via his or her iPad, after which the system creates a work order that is assigned to a suitable technician. All users run the system on their iPads, receive work orders, view all information and sign off on completed work. The upgrading facility, where vehicle gas is produced, requires special work permits and the entire permit process is also integrated into the Infor EAM solution. We put an RFID label on each piece of equipment and building, which are then scanned for easy equipment identification. This results in fewer mistakes and quicker handling than if ID numbers were manually entered. All issued work orders contribute to the accumulation of statistics and information about costs. The system can thereafter automatically assess activities and costs for each piece of equipment, which enables subsequent analysis. Staff can place questions, analyze and draw conclusions that can improve the plant’s profitability. What are our costs for keeping this machine in service? What kinds of problems occur? What usually happens? Can anything be improved? Is more preventive maintenance needed or do we perhaps have too much? – We’ve gained improved awareness of maintenance and can now see what things actually cost. We can even present the produced data in an entirely new way. Installation went really well. Prevas’ performance has been exemplary. They’re easy to work with, there were very few misunderstandings and they’ve made a very good overall impression. – We didn’t receive a finished program system but instead were able to choose ourselves how it would work. We see that as a plus. It’s still too early to say if the system will result in us changing our work methods, but it’s looking like that may well be the case. The next step will involve integration of stocked spare parts. Implementation has involved plenty of give and take, and I especially appreciate how easy it’s been to work with Prevas on the project. I’m couldn’t be more satisfied!